Making your kids understand the benefit of good oral is very important. Sometimes parents struggle that when they should take their kids for a first dental check-up. You might not be aware of that dental care for kids begins even before the baby’s first tooth appear. When a baby is born, he/she has 20 primary teeth and some of them are fully developed in the jaw. Caring for children teeth is quite different from adult oral care as kids teeth are changing as they grow older. 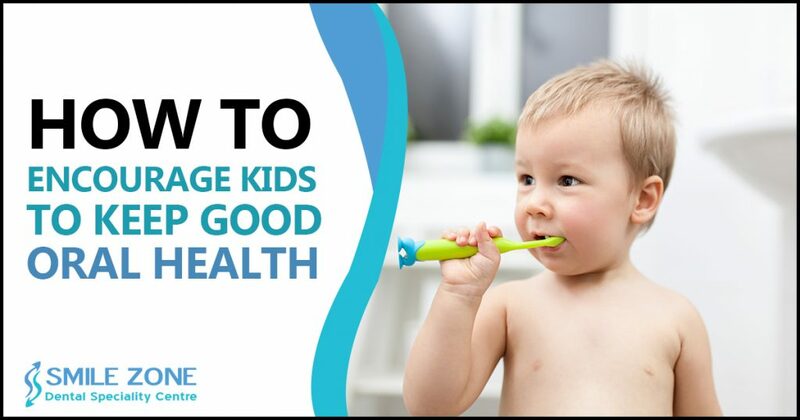 Moreover, it is important that you teach your kids good oral hygiene from a young age so that they can follow it for a lifetime. Here are some ways in which you can encourage your kids to follow a good oral care routine. The best way to teach them is by showing them how they should do it. If they see you brushing every morning and at night, they will definitely do it along with you. You can even ask them to help you just like you help them. Show them videos on the YouTube of children of same age group using a toothbrush. They love to relate the things when they are learning something new. Consult a dentist to have good oral health for the kids. Let your kids choose the toothbrush and toothpaste, this way they will look forward to using the new things they have bought. It doesn’t matter if they choose electric or manual toothbrush but you never know it might make them use it daily. One advice which you will get from a doctor when you visit a dental clinic is making this routine more interesting and entertaining. You can tell them a story while they are brushing their teeth. Try to be creative and incorporate characters like a knight (the toothbrush) and the goblins (plaque) is in danger in the dragon’s cave (their mouth). You can also make them listen to songs or watch a movie. Doing these things will make them follow this practice every day. No one likes watching the sight of a mouth full of cavities and discolored teeth. If you show them practically they will understand it more easily. Tell them after eating sugary food they should brush their teeth, otherwise, cavities will start building in their teeth. Additionally, they should brush gently in a circular motion along with the gum line and chewing surface. When it comes to good oral routine it should be fun for the kids because if they enjoy that time it will definitely change into a daily routine for the kids.